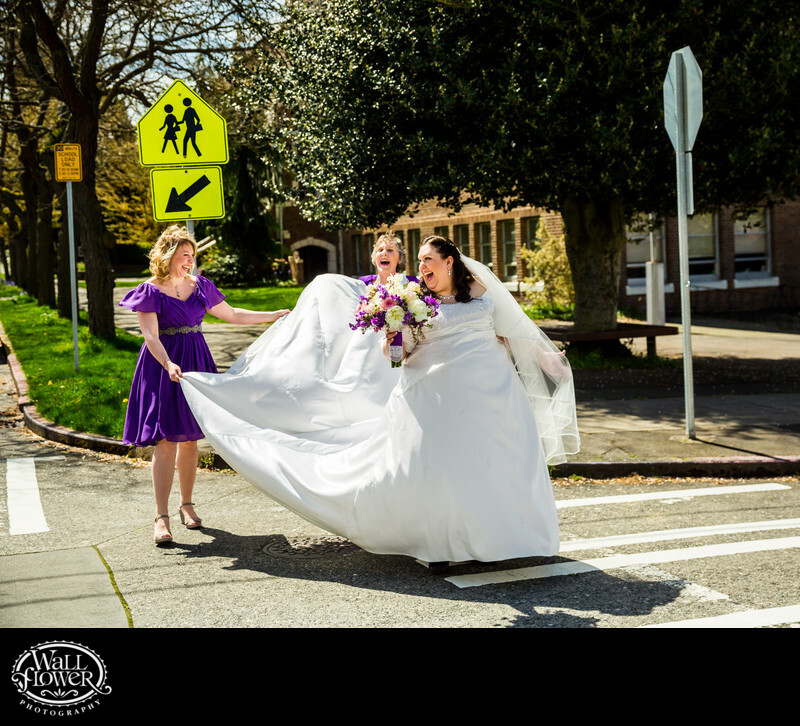 I love the moment I captured in this photo, as the bride's mom and sister hold her long dress as they cross the road to St. Benedict Catholic Church in Seattle, where her wedding ceremony was taking place. Everyone is laughing, as they seemingly were the whole day. The street signs and the bride's shadow clutter the scene a little bit, but also give it character and and an extra touch of realism. The bride's bouquet was by Julia Miller of Julia's Florals. You'll find more photos of this bride in this photo gallery, as well as the Created gallery on this website.